Doctors Without Borders /Médecins Sans Frontières (MSF) delivers emergency medical aid to people around the world whose survival is threatened by violence, neglect, or catastrophe, due to armed conflict, epidemics, malnutrition or natural disasters. Through longer-term programs, Doctors Without Borders treats diseases such as tuberculosis, malaria, sleeping sickness and HIV/AIDS; provides mental health consultations; and brings healthcare to some of the most remote and dangerous places on earth. Our medical teams in the field are saving lives every single day. 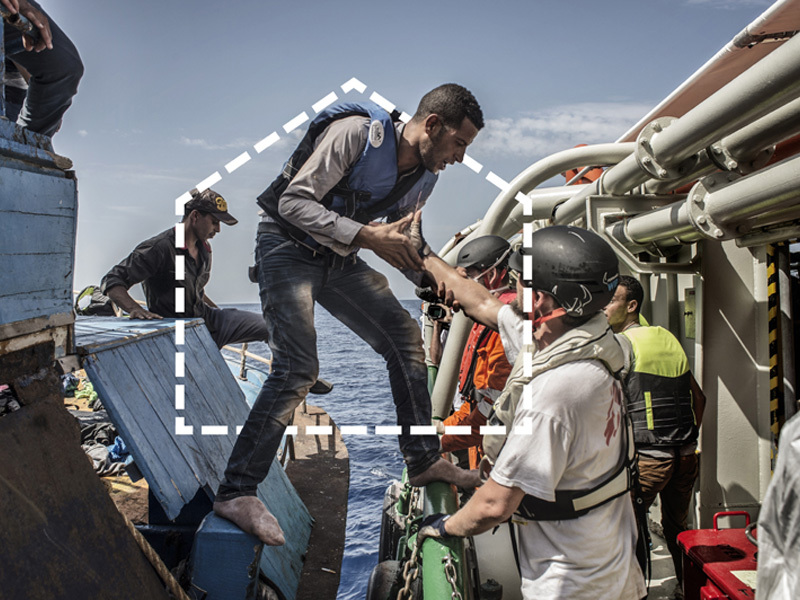 In the Fall of 2016, MSF will launch "Forced From Home", a free, interactive exhibition designed to raise public awareness of the world's 65 million refugees. With experienced Doctors Without Borders aid workers as guides, visitors will see, hear, and interact with images, stories, and materials gathered from refugee camps, rescue missions, and emergency medical projects around the world. The exhibition also features the latest in virtual reality and 360 video technology bringing the stories of refugees and the aid workers that support them to life in a highly compelling way. Through this exhibition, visitors will gain a deeper understanding of the global refugee crisis, the challenges faced by those who have been forced from home, and the humanitarian assistance offered by Doctors Without Borders. Forced From Home will be touring 5 cities in the Fall of 2016 and will be hosted in centrally located parks. Please support us in our continued efforts by airing the :15, :30 or :60 audio PSA. Thank you in advance for your consideration.